Sometimes a simple pillow or two can brighten up a room in an instant! 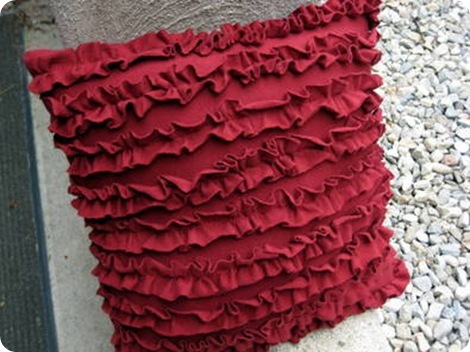 As we move into Fall you might want to change things up a bit, and pillows are a fabulous project. You can’t beat how quick and easy they are to make! Aren’t these owl pillows from Robert Kaufman Fabrics cute? Every house could use an owl pillow somewhere. And they would make a great gift! 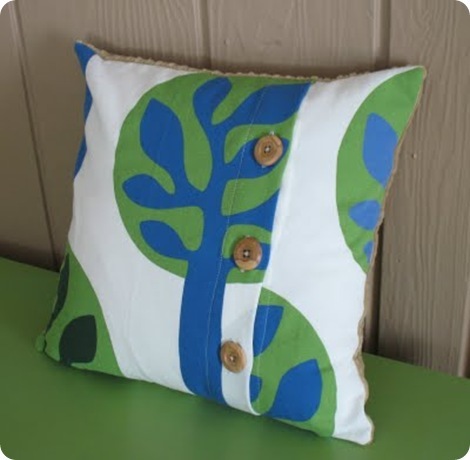 Sew Much Ado created this wonderful button up pillow. 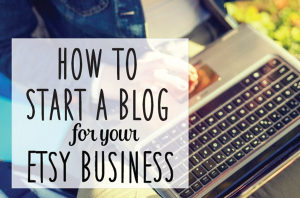 The possibilities are endless with this tutorial. A lovely ruffle pillow tutorial can be found at Floral Shower Crafts. I would love to have one of these in all white, or maybe linen! Isn’t this fun? 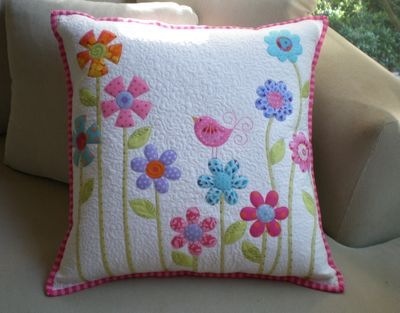 Don’t Look Now created this sweet flower garden pillow. What a great way to use you fabric scraps! If you have tons of fabric scraps like I do, then you’ll have enough for this Scrap Buster Fall Pillow from Cluck. Cluck. Sew. This is one of my favorite pillow tutorials! 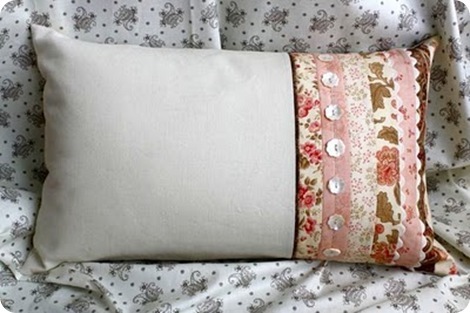 Moda Bake Shop has a tutorial for this Aster Manor Pillow…love those buttons! Here’s a little tutorial I did last year…my No Sew Pillow! 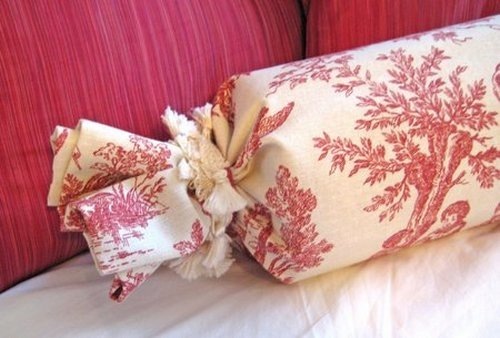 This is the fastest pillow ever and you don’t need a sewing machine! There’s always room for a few more pillows! Have fun! .-= Kelly Irene´s last blog ..Twirl Skirts for Infants and Toddlers =-. 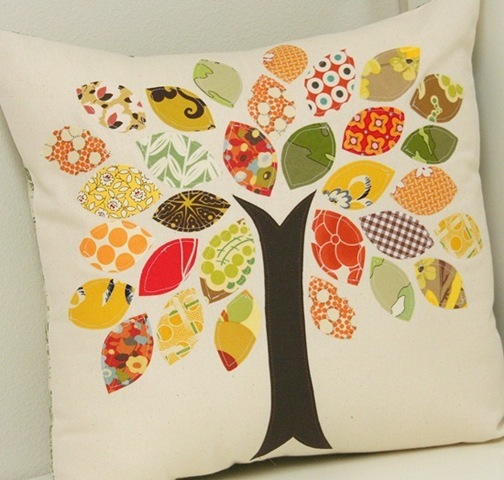 I LOVE that Scrap Buster Pillow… adding it to my list. Thanks for sharing! .-= Maryanne´s last blog ..Snap Card Wallet – Blossoms on Orange =-. I made this tree pillow from Cluck. Cluck. Sew. it looks so good and used up scraps- yeah! Those are all so cute! I was just trying to organize my fabric the other day and realized I’ve got lots of scraps to use up…. Thanks for the great ideas! .-= Rachel O’Donnell´s last blog ..Noahs Ark FRAMED PRINT =-. Kim, all of these are super cute! I love the tree. .-= Tammy/ StitchnStudio´s last blog ..Romantic Red Satin Flower broochclip- broochpin- pin- hairclip =-. 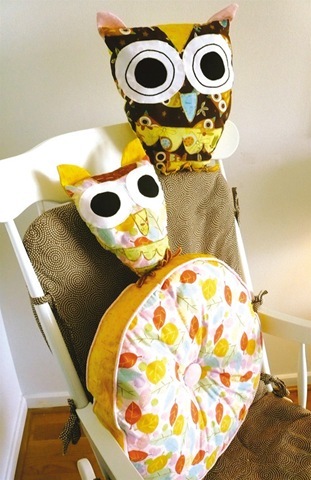 Wow……i especially love the owl pillows – they are adorable…..i should make one for my grandbaby! .-= Violette´s last blog ..Creatively Accountable- How Glittergirl Came to be =-. 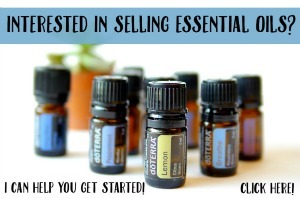 What a great project-so easy and reasonably cheap. Am going to make one for the granddaughter over the next few weeks. I’ve been thinking of trying the no sew pillows.